Home > Pets > [Pet Lovers Centre Singapore] For our Pet Lovers in Yishun! 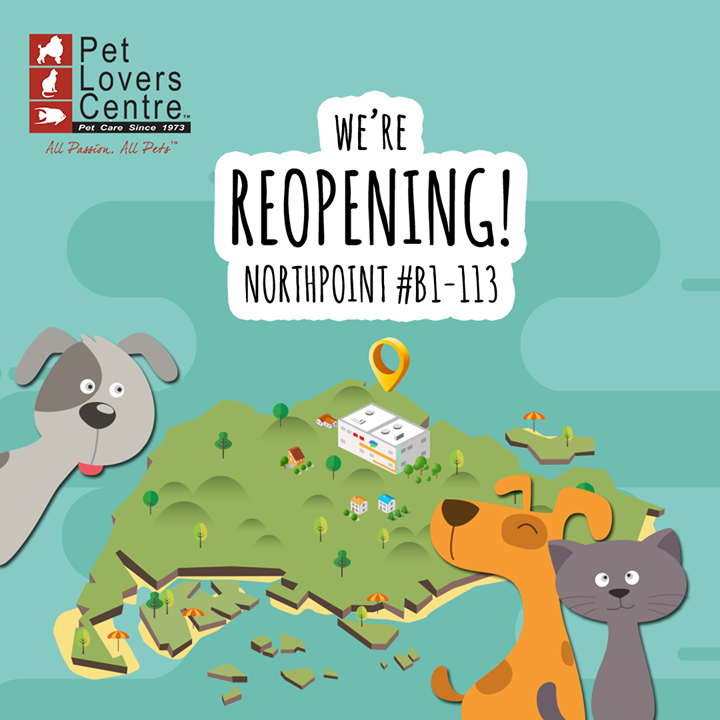 [Pet Lovers Centre Singapore] For our Pet Lovers in Yishun! For our Pet Lovers in Yishun! Our Northpoint store will be re-opening today, at # B1-113 just beside New Wing Garden. To celebrate, we’ll be having a 10% STOREWIDE discount and free goodie bags! T&Cs apply. While stocks last. Pop by and shop for all the best in Pets - as always! Next: [Itacho Sushi] Itacho Sushi and Gan Yakitori 岩やきとりThinking of what to get for XMAS party?